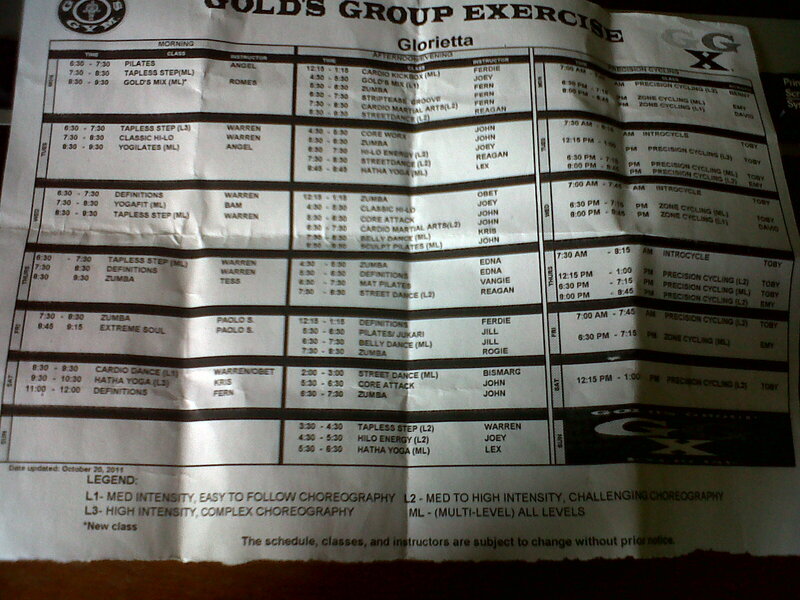 I love attending the Zumba classes at Gold’s Gym. I also want to try the other GGX they offer, so I got this schedule from the reception. Some of the classes they offer are: zumba, pilates, tapless step, gold’s mix, yogilates, yogafit, definitions, core attack, cardio martial arts, bellydance, streetdance, core attack, jukari, spinning etc.